Tech Readers » Is Online Banking Safe? Protect Your Online Bank Account! April 24, 2019 3:21 am You are here:Home PC & Web Web Is Online Banking Safe? Protect Your Online Bank Account! Is Online Banking Safe? Protect Your Online Bank Account! Recently, my MoneyBookers account got hacked and I thought of writing something about securing online bank account from hackers and I am sure it would help many of you. The facility of banking by using the internet is called online banking. However many people are concerned if online banking is really safe. 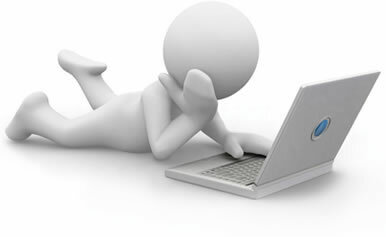 Online banking facilitates people in undertaking traditional banking activities via internet. They can be account transfers and payment of bills. Customers can also comfortably keep an online check of their accounts from their homes. Phishing: It is an attempt to gain access to sensitive information via email, instant messages and cell phones by using fraudulent and social networking websites. Usually, a link spoofing the authentic website is sent through email by hackers to unsuspecting customers luring him to reveal his sensitive account information like user name and password. Malicious software: When malicious software sneaks into a computer, the internet address redirection which results in redirecting customers to a copycat website closely similar to the original website. Malware programs like key logger can be used by hackers that allow them to monitor the key strokes. The username and passwords be retrieved in this way. Weak wireless network security: Many users who access internet from their home are not tech savvy. They might unintentionally allow other users to access their wireless network and the confidential information can be retrieved. Some useful practices can be adapted to secure the online banking. Using virtual keyboards: An option of using a virtual keyboard is provided by the bank as a measure to counter the malware of key logging. A customer must always use a virtual keyboard rather than a physical keyboard. Self access: Public computers should always be avoided for accessing online bank account. Public Wi-Fi from one’s laptop should also be avoided. Home network is safe for online banking services. Choosing a strong password: An ideal strong password is the one which has at least 8 characters and with a combination of alphabets, numbers and symbols. Choosing security password: Most of the banking websites allow the customer to choose security questions and answers in addition to username and password. The person who is accessing will be forced to answer the security question for a different computer. Thwarting phishing: Logging into one’s computer via link that has been received in an incoming email requesting username and password change should be avoided. This can help in thwarting phishing. In addition, one must remember that all banks are not insured. Many banks which are chartered overseas are not insured by the Federal Deposit Insurance Corporation (FIDC). The internet is continuously gaining popularity across the world. Banks and financial institutions have enhanced internet connections to provide their customers with excellent financial services. Although there are flaws in basic internet but online banking is still considered the safe way of accessing bank account. Safe online banking is always practical if the computer is protected against internet threats. It will be good and useful to find out about security measures. 2 Responses to "Is Online Banking Safe? Protect Your Online Bank Account!" Very nice article. I am not a computer-computer girl so, there are risks involved when you access your account online. Thank you for the tips. I will be careful while using my bank details.